What you should know about Code 11.59, the Le Brassus manufacture’s most important watch launch since the Royal Oak in 1972. ‘Code’ is the acronym for Challenge, Own, Dare and Evolve, characteristics that define the spirit of Audemars Piguet. Meanwhile, ‘11.59’ is a reference to the minute before a new day begins, which is apt considering how the collection marks an exciting new chapter for Audemars Piguet. For 46 years, Audemars Piguet has been riding on the fame of its iconic Royal Oak. The time feels right for a new collection that can offer a viable alternative to the sporty model but still showcases the manufacture’s 143-year savoir-faire in watchmaking. Which explains the magnitude of its debut: 13 references, six calibres (three are new) and five complications. 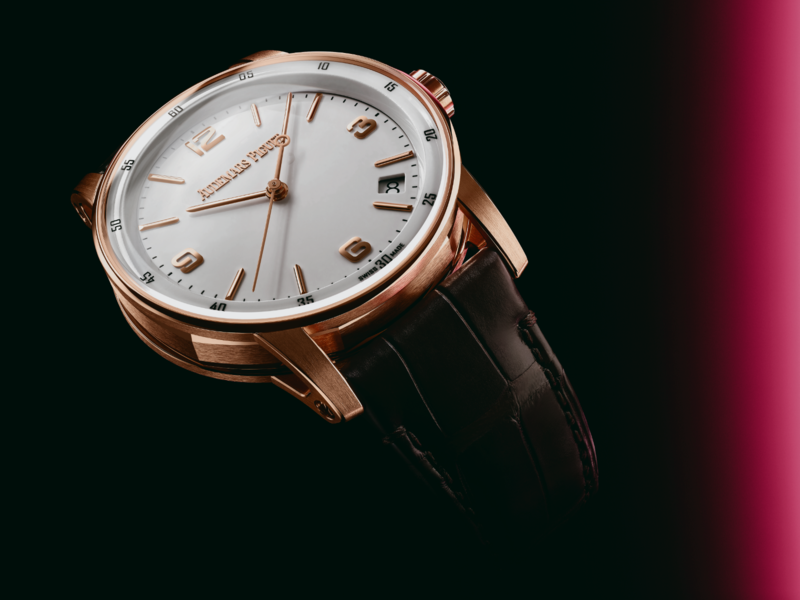 The case is classic round but with a twist – in a nod to its flagship model, the case middle is octagonal. The details become clearer when viewed from the side where you'll also discover that the upper part of the openworked lugs are attached to the extra-thin bezel while the lower part are melded with the caseback. Perhaps more interesting is the anti-reflective sapphire that is vertically curved from ‘6’ to ‘12’ on the upper side, and domed on the lower side. This apparently enhances the visual appeal of the dial. The Le Brassus manufacture has also fashioned its brand name on the dial using, for the first time, a technique known as galvanic growth, a form of micro-electronic that allows it to manipulate extremely thin layers of 24k gold with remarkable precision. The result is an attractive 3D signature, a small detail perhaps but one that demonstrates Audemars Piguet’s willingness to push design limits. Six in-house calibres appear in the premiere collection, all of them selfwinding except for the tourbillon openworked and the minute repeater supersonnerie. Three calibres are entirely new, namely the selfwinding with date calibre 4302 with a frequency of 4Hz, the selfwinding chronograph calibre 4401 with flyback function and 70 hours of power reserve, and the selfwinding calibre 2950, the first automatic movement from Audemars Piguet to feature a flying tourbillon and a central rotor.